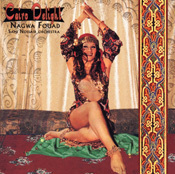 Imagine yourself in at a Cairo cabaret. Enjoy captivating belly dancers performing with grand orchestras. Cairo?s famous Sami Nossair Orchestra performs belly dance favorites performed with authentic instrumentation including Kanoun, Violin, Accordion, Nay flute, Dumbek, and Riqq.